Decades have passed since war erupted between the united space federation and the alliance of free worlds. A bloody conflict that seemed to have reached a stalemate is now about to change, when a third faction suddenly appears. Take control of a fleet commander returned from exile, rise through the ranks of the United Space Federation forces and join an epic war across the stars. Start with a small group of frigates, and climb your way to controlling battleships, carriers and planetary bases, in huge space battles and boarding actions. Build space stations and orbital facilities to fortify your position, build your fl eet, extract minerals and research upgrades. Execute boarding actions using marine special forces, and bombard your enemies with orbital long range cannons. 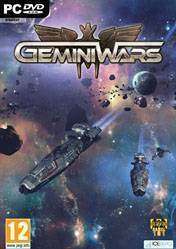 There are no comments yet about Gemini Wars . You can be the first one!